Nestled in the Aizu basin in the western part of Fukushima Prefecture, the samurai city of Aizuwakamatsu is steeped in history. Home to the Aizu Clan, the region was loyal to the Tokugawa Shogunate and suffered a crushing defeat in the Boshin War in 1868, a civil war that returned power to the Emperor, marking the end of the Edo Era (1603-1868) and the start of the Meiji Era (1868-1912). This city of approximately 124,000 people takes pride in its samurai culture, and its tourist attractions reflect the spirit of the ancestors who came before them. This year marks the 150th anniversary of the Boshin War, making it the perfect time to immerse yourself in this samurai city. Here’s a three-step approach on how to enter the samurai time and appreciate Aizuwakamatsu. There are many samurai towns in Japan, but Aizuwakamatsu’s history is particularly unique. Wars and fighting should not be the only things that define the samurai era. Aizuwakamatsu is full of places that have exhibited traditional lifestyles even before and after the samurai era. 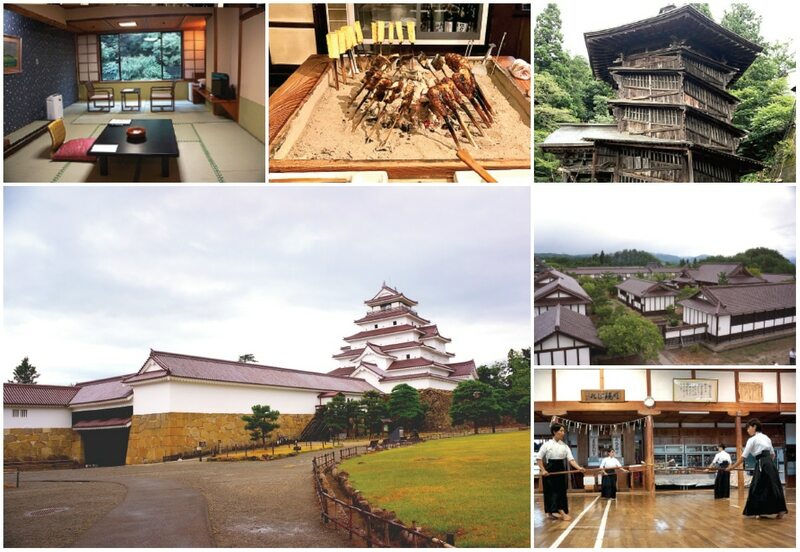 You can visit these places to get bigger and deeper views of the ancient lifestyle in the samurai city. The greater Aizuwakamatsu area has a rich food culture as well. Appreciate it by eating like the locals! For a closer look at the enduring culture of Aizuwakamatsu (plus an in-depth breakdown of each of these steps! ), read the original article from our friends at CHOPSTiCKS NY via the link below! Products and culture from Japan are steadily becoming a part of New Yorkers' lives today, and it is our mission to provide the best guide to Japanese culture. CHOPSTiCKS NY features articles on the current atmosphere in Japan and Japanese culture in NY, along with over 800 listings of restaurants, grocery & liquor stores, beauty spas, healthcare and more.